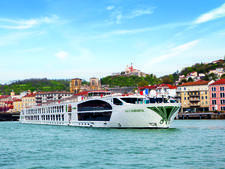 In April 2013, Uniworld launched cruises in Italy with a goal to be the most luxurious line on the Po. 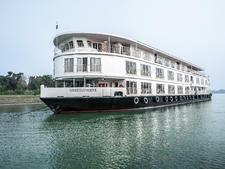 The company succeeded with flying colors, and the freshly remodeled 134-passenger River Countess surpasses any other river vessel based in Venice. From the moment you step onboard, the company's signature style of fabulous elegance is presented in full force. A large chandelier and leopard-skin circular sofa dominate the lobby, and natural light, fresh flowers and two parallel staircases combine to give passengers a warm welcome. River Countess might be elegant in style, but the dress code is resort casual. It caters to a predominantly English-speaking, retired clientele. After 10 years of service, River Countess underwent a total transformation in 2012, with more than $5 million worth of refurbishments. Immediately prior to its Italian debut, the ship received a few extra touches, including a pizza oven and a new tapestry behind the reception area. One of the most impressive spaces is the Sienna Salon Sky Lounge, a glass-walled conservatory-like cafe decked out with plants and outdoor furniture. On a blue-sky day, the cozy room lights up with sunshine. The main restaurant is also a sight to behold, with white leather booths, white tablecloths and white-tuxedoed waiters. Seven-night sailings are offered between April and November, with four nights spent in Venice, using the ship as a base. Other shore excursions -- to the historic and cultural delights of Verona, Bologna, Padua and Ravenna -- require coach trips of one to two hours. For these reasons, the itinerary may suit couples who can't decide whether to see Italy by road or river, as there is less sailing time than on the average cruise. In 2014 and beyond, fares will include all gratuities; unlimited fine wine, beer, spirits and non-alcoholic beverages; shore excursions with local guides; Internet and Wi-Fi in all rooms; and transfers on arrival and departure days. For the remainder of the 2013 season, house wine is complimentary, with other choices available at additional cost. 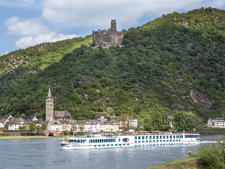 The general age for river cruise passengers is 60 and older, but Uniworld passengers tend to be slightly younger and well-traveled. 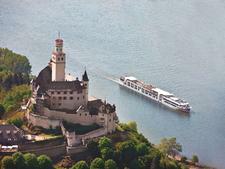 Many on our Italy cruise were past passengers from other European river cruises on the Rhine or Danube. Most travel as couples or groups of friends, but solo travelers are also attracted to River Countess, due to the elimination of the single supplement on several Venice departures. The mix of nationalities is largely American, Canadian, Australian and British. Resort casual, comfortable attire is encouraged for both ship and shore. A good pair of walking shoes is essential. As the ship sails in Italy, where some cities have cobblestone streets, be sure to stick with flats (no heels). Passengers dress up slightly more in the evenings, especially for the farewell dinner, but never as fancy as during formal nights on ocean cruises. Some people don't even change out of the clothes worn on shore excursions. For events like the Captain's Welcome and Farewell Dinner, women might like to pack a few dresses. Men can get away with collared shirts and blazers, but there's no need for ties. 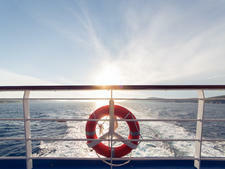 Fares are inclusive of gratuities for onboard and onshore services, including pre- and post-cruise extensions. 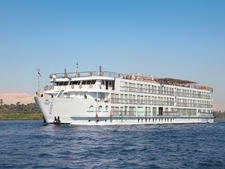 Holding 82 passengers, River Tosca brings Uniworld's brand of luxury cruising to the Nile River, with experienced tour guides that show you the best of Egypt. River Empress is one of the older ships in Uniworld's fleet, dating back to 2002. It's also a one-off (not part of a "class"). S.S. Antoinette launched in March 2011. 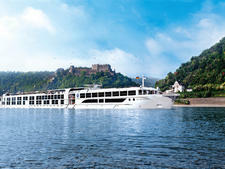 The 164-passenger vessel offers a serious wow factor with its unique-to-river-cruising features, including suites with clever open-air balconies. 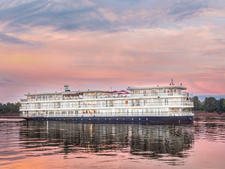 Since 2016, Uniworld has put the Ganges Voyager II under exclusive charter, offering two-week trips that combine a land tour of India's Golden Triangle cities -- Delhi, Agra and Jaipur -- with seven nights on the Ganges. 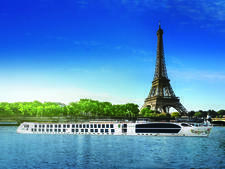 Uniworld's River Royale offers a high staff-to-cruiser ratio, all-inclusive pricing and haute cuisine. 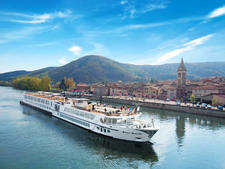 It sails scenic itineraries in the South of France. 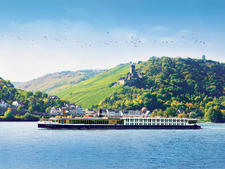 Uniworld's River Duchess features three passenger decks plus a sun deck. Unlike other ships in the fleet, staterooms have no windows that open. 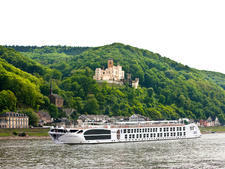 Maria Theresa is Uniworld's third "super ship" and is a floating masterpiece that combines historic artwork and antiques with contemporary, high-tech creature comforts. 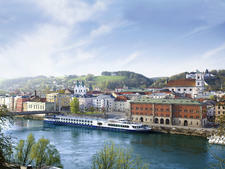 Uniworld Boutique River Cruises re-launched River Victoria in 2011 after an extensive refurb (it was built in 1982). 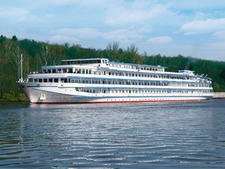 The 206-passenger boat sails Russia's Volga River between Moscow and St. Petersburg. 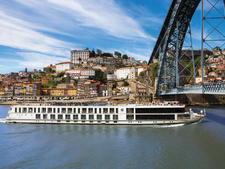 Built in Portugal, furnished with locally crafted furniture and staffed by Portuguese crew (with the exception of the Dutch chef), the ship is reassuringly authentic. 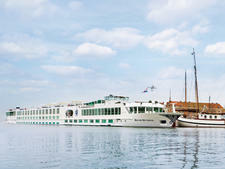 The re-imagined River Royale joins the ranks of Uniworld's Super Ships, offering supreme comfort and luxury on Europe's waterways. 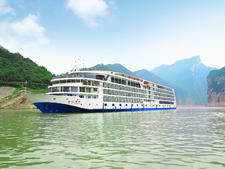 Uniworld's chartered vessel carries 398 passengers and sails on China's Yangtze River.